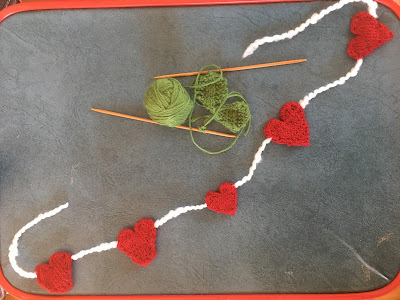 I finished my heart garland, for now (started on Day 9). I was intending to have it hanging by Valentine's Day, but, you know...eventually. Slowly catching on to the knit and purl. Purl is a lovely word.